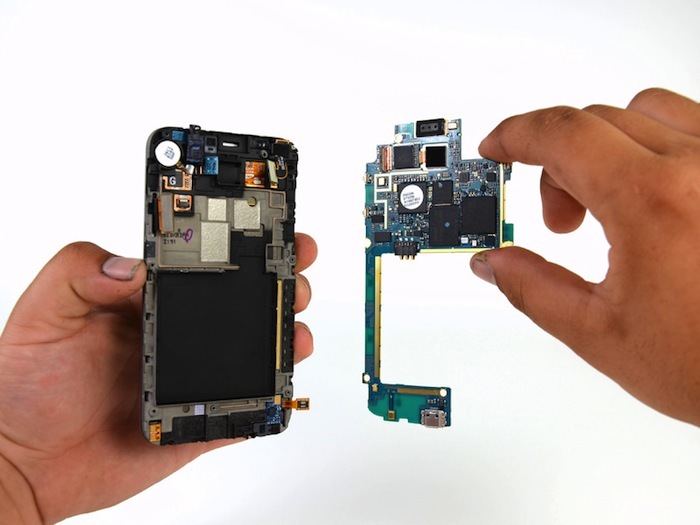 iFixit is once again ripping apart some of our favorite smartphones, this time giving the tear down treatment to Samsung’s 8.49mm thin Epic 4G touch, also known as the Galaxy S II. While there isn’t much here we didn’t already know, when it was all said and done the Epic 4G grabbed a 7 out of 10 for repairability (10 being the easiest). Here’s an overview of their findings, more shots after the break. There’s a total of 9 Phillips #00 screws to remove to gain access to the majority of the device. Glass panel and AMOLED display are fused, making cracked screens a costly repair (and requires the use of a heat gun). Community members at iFixit also opened up the Galaxy S II (non-Epic 4G variant) noting the front facing camera is 2MP, “which is better than the iPhone 4’s VGA camera”. They also state the main 8MP camera is “smaller than an iPhone 4 camera” as well. You can check out their full tear down here. 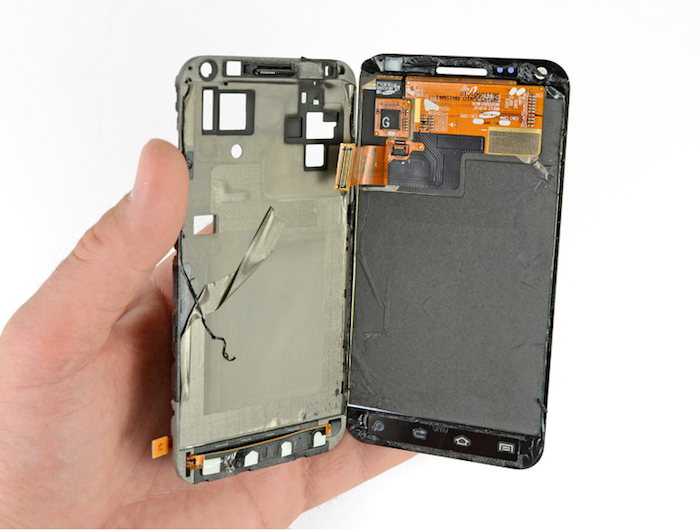 We recently brought you our full review of Sprint’s Galaxy S II variant, the Epic 4G, and a couple weeks back iFixit opened up Verizon’s 4G LTE Droid Bionic.